Rally to Defend Door-to-Door Mail Delivery! “The influential power of working people was clear last night when the first question and focal point of the debate was on wages and economic inequality. For more than a year, working people have established a raising wages agenda to shape the political landscape. We’ve seen it on the campaign trail, in the Democratic platform, at both conventions and now at this historic debate. 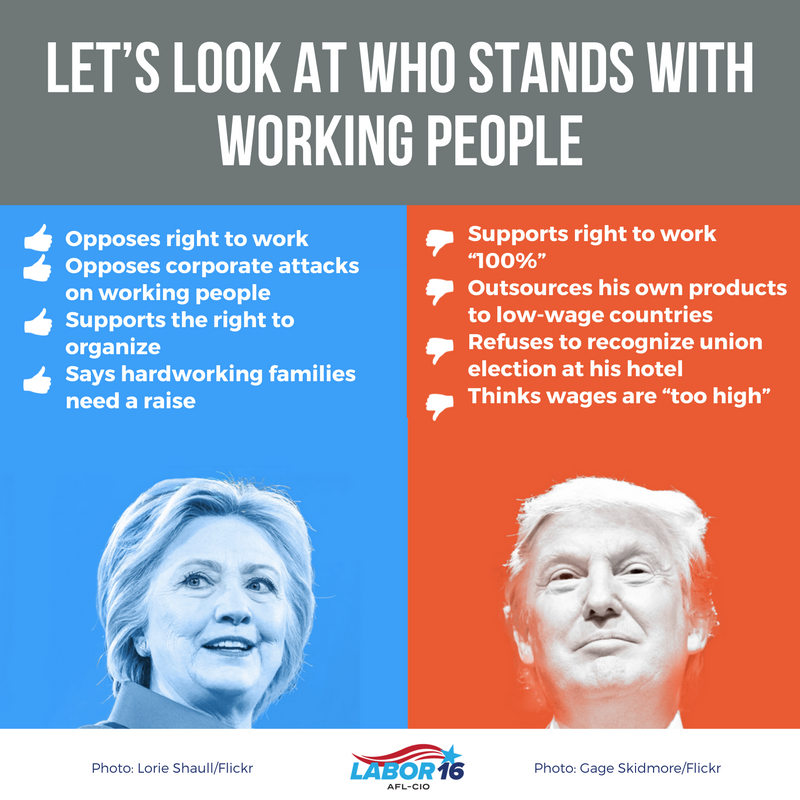 The real winner is working people whose issues were front-and-center, allowing the candidates to show who is really on our side. Hillary Clinton did an outstanding job against an opponent who has no business being on the same stage as her. Hillary Clinton gets it. She’s identified the real problems of our economy and has the solutions to fix them by rewriting our economic rules to work for working people. Donald Trump on the other hand showed that he is simply a multi-millionaire who has benefitted from our rigged economy and now wants to be in a position to continue to rig it for himself and others like him. When it comes to economic policy, Donald Trump completely discredits his own claim that he is not a typical politician. While his campaign is short on policies, the few plans he does have simply double down on failed economic policies. And while he assails jobs lost to outsourcing out of one side of his mouth, he promotes it regularly at his companies from the other. Hillary Clinton knows the kinds of real investments we need and will empower working people to get our economy back on track. When it comes to trade, Donald Trump is a complete fraud. He has used failed trade policy of the past to benefit himself and would only write future trade deals to even further benefit himself and his friends on Wall Street. Hillary Clinton listens to working people and has responded in powerful, positive ways. Donald Trump is essentially admitting to not paying federal taxes and his continued refusal to release his taxes is alarming and disqualifying. We all pay taxes as a civic duty and collectively provide for things like teachers and firefighters which are the backbone of our economy. It’s one thing to hear about another millionaire who doesn’t pay his taxes. It’s entirely different when that millionaire thinks he should be president. Hillary Clinton showed compassion and understanding, offering serious solutions to deal with the emotional and complex issue of race relations in America. Donald Trump provided nothing beyond ill attempts to veil his racist past with policies that have only perpetuated racial injustice. For many years, Donald Trump has mistreated and said horribly vulgar things about women. Hillary Clinton called him out for it on a national stage and now he has nowhere to hide from it. Yesterday was National Voter Registration Day. Don’t worry if you missed out: The deadline for voter registration in Oregon is October 18. Head to oregonvotes.gov to make sure you’re signed up. A major wage enforcement settlement will direct $144,000 in liquidated damages to 46 underpaid workers while making Cornerstone Janitorial Services permanently ineligible to receive public works contracts in the state, the Bureau of Labor and Industries announced today. The settlement represents only the second time in the agency’s history that BOLI has secured such a lifetime ban. BOLI launched the investigation after receiving a complaint from Hoffman Construction. Previously, the agency directed nearly $200,000 to Cornerstone workers not paid wages to which they were entitled on a series of 16 taxpayer-funded education and health care projects in Portland, Eugene, Stayton, Junction City, Salem, Keizer, Philomath, Vernonia, Corvallis, Monmouth and Wilsonville. Copies of the settlement agreement and Final Order can be found online here. 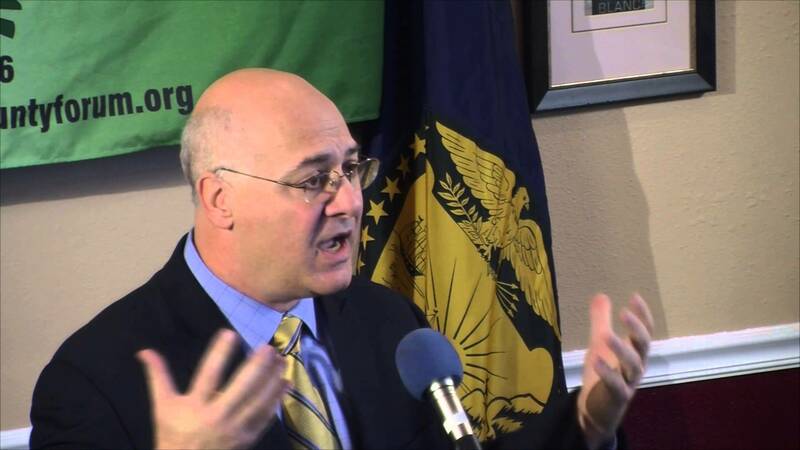 Labor and Industries Commissioner Brad Avakian praised Hoffman Construction for contacting the Prevailing Wage Rate Unit and urged other workers and contractors to contact BOLI if they believe that workers are being denied wages to which they are entitled.